Amid persistent concerns that Amazon’s army of new workers will displace low-income Arlingtonians, county leaders plan to redirect their existing investments in affordable housing to better serve the areas impacted by the new headquarters — but the county won’t be upping its financial commitment to spurring the construction of reasonably priced homes. While critics of Arlington’s decision to court Amazon’s HQ2 have focused on everything from the headquarters’ potential impact on county schools to its transportation systems, the tech giant’s impact on housing prices has perhaps drawn the most scrutiny of all. The D.C. region has already seen a housing crunch in recent years, and all manner of experts have theorized that the arrival of Amazon’s thousands of highly paid workers will only worsen the county’s challenges. Accordingly, Virginia’s offer to Amazon includes a frequent emphasis on the region’s commitment to addressing local housing woes, and it touts a $150 million investment in affordable housing by Arlington and Alexandria over the next decade. The state has also pledged massive investments in existing programs through its Virginia Housing Development Authority. But the details of the proposal contain a bit more nuance. The county won’t achieve that affordable housing investment by increasing its annual contributions to various housing-focused programs; rather, it will earmark about a third of those funds for projects creating affordable homes in Crystal City, Pentagon City and along Columbia Pike. The county currently sends about $21 million to affordable housing efforts each year, county economic development spokeswoman Cara O’Donnell said. That includes just over $14 million to the Affordable Housing Investment Fund, a loan program designed to encourage affordable developments, and contributions to other loan repayment programs for low-income renters. That means about $7 million each year will be dedicated to housing affordability programs impacting the neighborhoods surrounding Amazon’s new headquarters. Cristol also hopes to increase that amount as new tax revenues from the company flow into county coffers, though Arlington will need a few years to truly feel those revenue impacts. Michelle Winters, executive director of the Arlington-based Alliance for Housing Solutions, was hoping to see the county step up its total commitment to affordable housing funds immediately, not simply move money around. She points out that, even with the county’s existing efforts, Arlington has seen dramatic declines in its “market rate” affordable homes, which are designed with prices to match the current housing environment. The number of “committed affordable” homes, where housing prices are controlled, has also not kept pace with growth, she points out. “It’s going take additional analysis to determine if this will actually be enough to meet the needs arising from Amazon and other growth in the region,” Winters said. 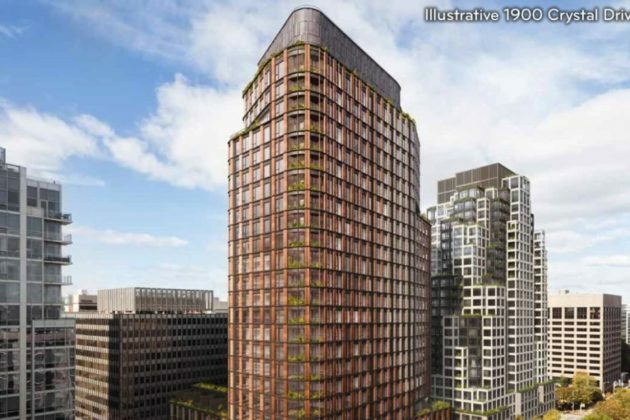 More intense Amazon skeptics, however, believe that anything short of a full-court press from the communities surrounding the new headquarters will spell disaster for renters in the area. State Del. Lee Carter (D-50th District) fully expects that Arlingtonians priced out of the county will soon flock to outer suburbs like his Manassas-area district, causing a ripple effect throughout the Northern Virginia region. County officials don’t see the situation as being quite so dire, however. They note that up to 20 percent of the workers Amazon plans to hire likely already live in the area, and that employees will arrive gradually in Arlington over the next few years, not simply show up all at once and disrupt the housing market overnight. Arlington leaders also believe they’ll have more tools at their disposal to address housing affordability by the time Amazon starts truly ramping up its hiring. One key way the county earns money for the Affordable Housing Investment Fund (AHIF) is by forcing developers to make contributions to it as they win local approvals for massive new projects. Amazon won’t be building much in Arlington right away, choosing to move into some existing space in Crystal City to start — that’s an outcome affordable housing advocates feared, as the company won’t be required to chip into the AHIF until it starts sketching out construction plans. But County Board member Erik Gutshall points out that Amazon has big plans for future construction in the area, which will eventually result in “straight contributions” to the AHIF. 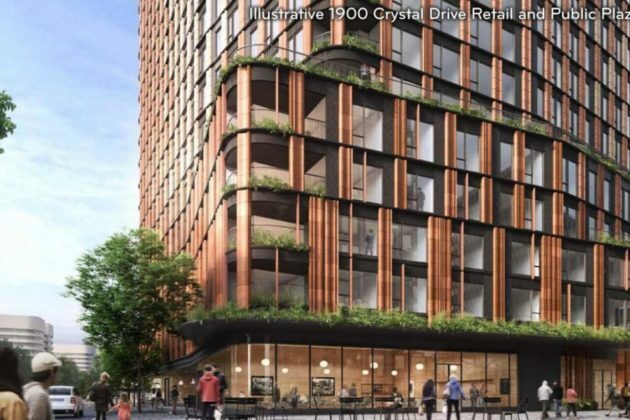 Amazon has already purchased large tracts of land in Pentagon City from developer JBG Smith, and could opt to fully re-develop some of the existing buildings it’s leasing someday. Yet Winters argues that programs like the AHIF can only do so much to create new affordable housing in the county. She credits the county for some of its work to preserve some older, moderately priced homes, but urged officials to do more, with greater urgency. Other urbanists are willing to call for even more transformative changes to make that happen, now that Amazon has arrived. Cristol acknowledged that “the one thing we can’t address through public policy is speculation in the market,” and early estimates suggest that speculation will be no laughing matter — McEarney Associates, a group of Northern Virginia realtors, released a report estimating that overall home prices will rise anywhere from 20 to 30 percent in the wake of Amazon’s announcement, with appreciation rates “north of 15 percent” in the immediate vicinity of the new headquarters. Accordingly, Cristol does see a need to “meet the supply challenge,” but she’d prefer to double down on some of the county’s existing efforts to loosen zoning rules for “accessory dwelling units” or allow more renovations to older duplexes, rather than pursue more dramatic changes. “We need to increase our urgency in expanding housing options among that ‘missing middle’ housing stock,” Cristol said.